Jordan Brand is expected to make waves this Holiday Season with their new models and retro kicks such as the Air Jordan 1 Phat Mid that is now available in two new colorways. 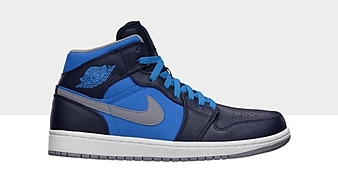 This famous retro kick was released in Black/Stealth-Court Purple-White and Obsidian/Stealth-Photo Blue-White colorways, which both look very clean like the previous editions of this kick. If you want some touch of retro for your Holiday Season attire, make sure to grab your own pair for just $105 now! New Colorways of Air Jordan 1 Phat Now Out! 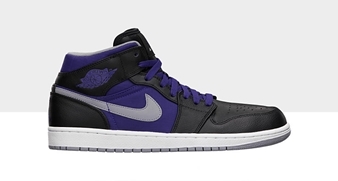 New Air Jordan 1 Phat Mid Now Out!